There are a few things that are quintessentially British. 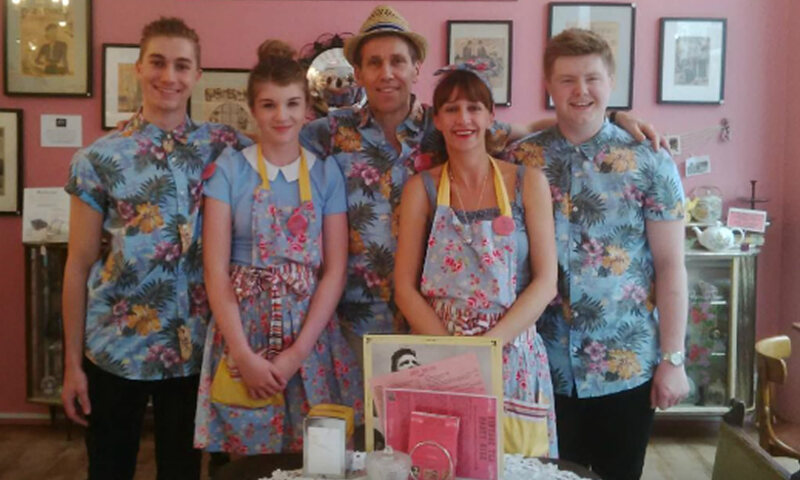 Tradition, tea drinking, home baking, good old fashioned service, a warm welcome and family ideals are among them. These ingredients are all brought together to provide the best of British ‘step back in time experience’ at Just Grand! 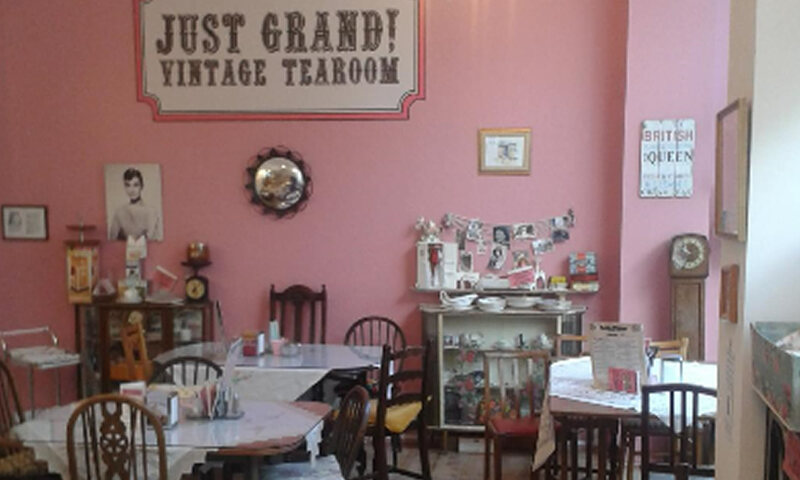 Vintage Tearoom in the Grand Arcade, Leeds city centre. In fact what can be more British than a good ole cup of tea and a bit of homemade cake, or scone with jam and clotted cream? The tea room offers not only Yorkshire tea, but a vast array of loose leaf blended teas from around the globe – our supplier, who are a British company, has over 90 different flavours and we are gradually putting the more popular ones on our menu to let our customers sample the very best of British tradition of drinking tea as it should be drunk. Served in vintage china teapots and in china teacups and saucers, with tea strainers and a little kettle timer to ensure the blend is just right. 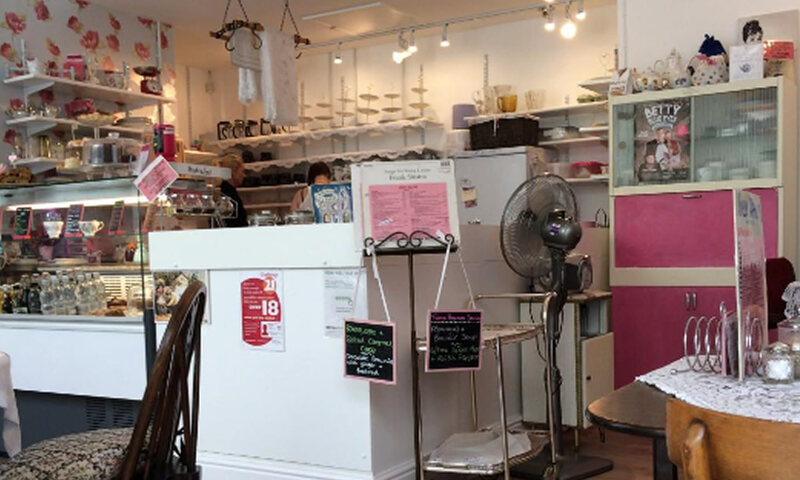 Customers can take this wide range of speciality teas and mainly cold light refreshments, with scones and cakes openly baked on the premises, in surroundings that give a feel for being in your Grandma’s or Nan’s parlour or an old fashioned very British tea room. 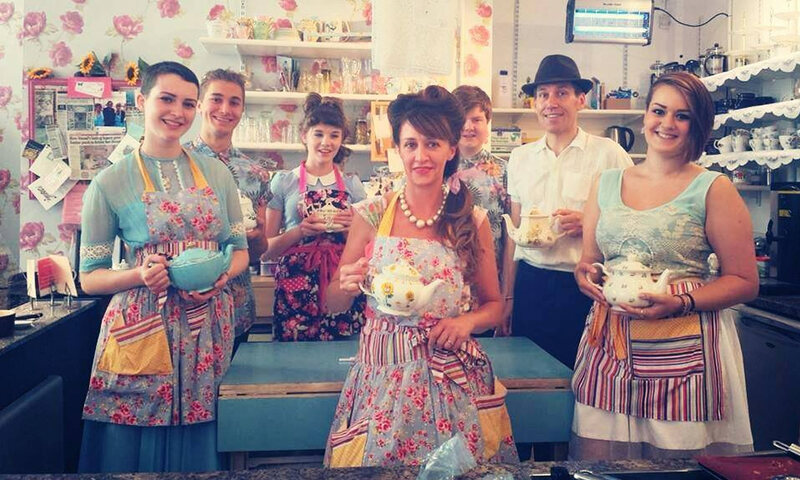 The tea room has an eclectic mix of period furniture and artefacts, mismatched china, tablecloths, background vintage music and staff, many of them family, dressed in vintage traditional clothing. 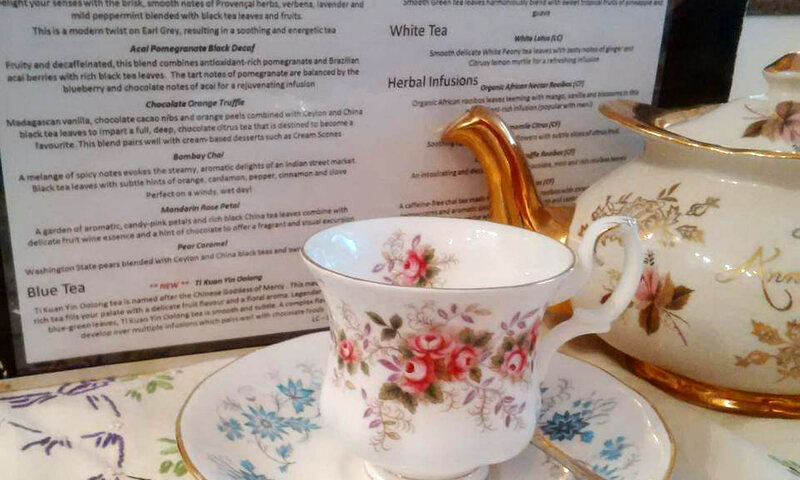 All in all to create a relaxed ‘step back in time’ atmosphere in which customers can immerse themselves in good old fashioned British tradition. A warm welcome and a good old fashioned service are all part of the offering. During the cooler months hand knitted blankets and hot water bottles are on offer for those who wish to take their tea and light refreshment outside in the arcade. 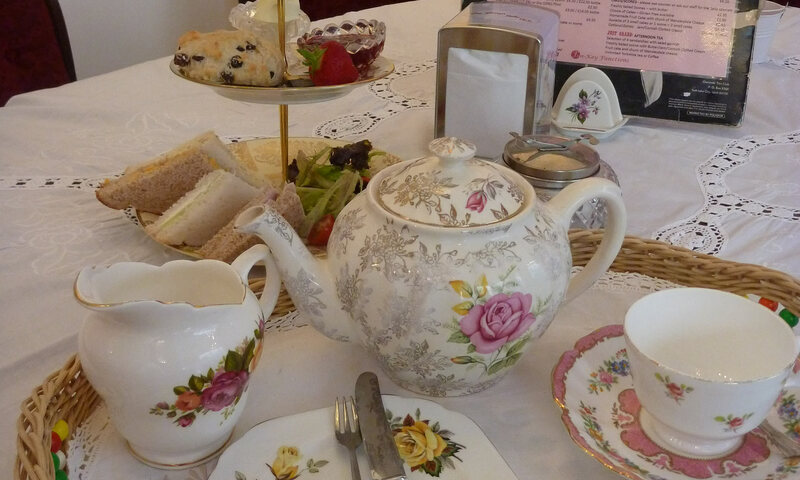 Whatever your reason for visiting us we will do our best to make each visit to our querky tearoom an enjoyable experience. Our aim is to make you relaxed, just as I used to feel when I entered my grandmothers home – and immediately get that ‘ahhhhh I’m home’ feeling. For private events & parties for 20+ guests you can hire our beautiful space for your exclusive use. We would be delighted to discuss your thoughts and ideas and put a no-obligation package together for you. A nominal hire charge would depend on the day and time of the event but generally would be around £75 for 2 hours / £100 for 3 hours. Please enquire with Janine on 07528 244012 for more information.